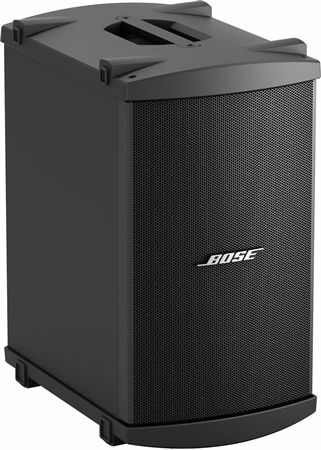 Shop Bose L1 Model 1S Portable Line Array PA System With One B2 Bass Module from AMS with 0% Interest Payment Plans and Free Shipping. 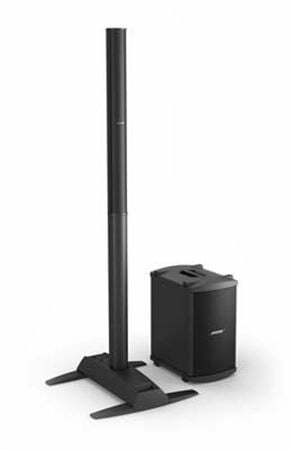 When it comes to portable, self-powered line array PA systems, Bose pretty much wrote the book. In fact, they’re rewritten the book for consumer and professional audio products time after time since MIT alumnus Amar G. Bose founded the now-legendary company in 1964. And now they’ve gone and done it again with their introduction of the Bose L1 Model 1S System, presented here by American Musical Supply in a convenient, economical package with the Bose B2 Bass Module. Spatial Dispersion™ and Articulated Array® speaker technologies in the loudspeaker produce wide, uniform sound coverage. The 12 small drivers are arranged using Articulated Array speaker technology in a slim, vertical enclosure — creating nearly 180-degrees of horizontal coverage and consistent tonal balance. Analog input, trim control and signal/clip LED for line-level analog input via Balanced 1/4" TRS cable. Can be used for instruments or other audio sources like DJ mixers, MP3 players, computers or DVD systems. Convenient carry bags — one each for the loudspeaker, power stand and bass module — make getting to and from your gig quick and convenient. Meet the L1 Model 1S, a Bose icon! One of the more innovative designs to come down from “The Mountain” (Bose headquarters in Framingham, MA) has to be Bose’s integrated, yet modular L1 series of powered line array speakers, first introduced in 2003. 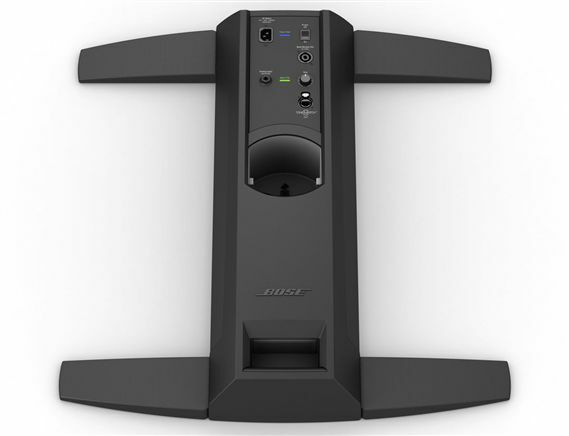 Its radical and sleek design set the Pro Audio industry on its ear — mainly because Bose was the first speaker manufacturer to market a powered sound system that could be used as both a personal monitor and main PA simultaneously. The original L1 system quickly became a favorite of individual musicians, small combos, and DJs — it even found its way into houses of worship and boardrooms. 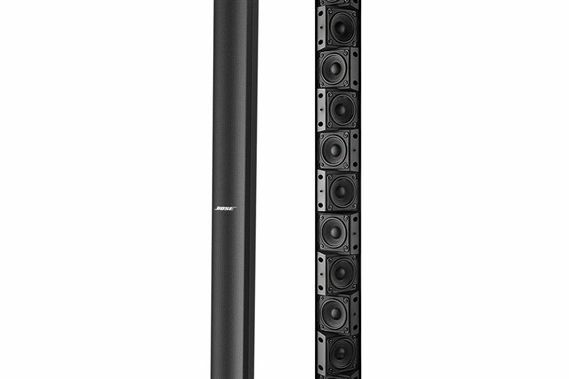 The Bose L1 Model 1S System bundled with a single B2 Bass Module represents the next step in the evolution of full-range, portable line array PA systems for mid-sized venues. Ideally suited for audiences of up to 300 people, its smooth, horizontal dispersion of 180 degrees with exceptional clarity and minimal drop-off is matched only by its portability, ease of setup, and durability. You might think that placing your main speaker behind your mics and instruments would cause all sorts of feedback and phasing issues. 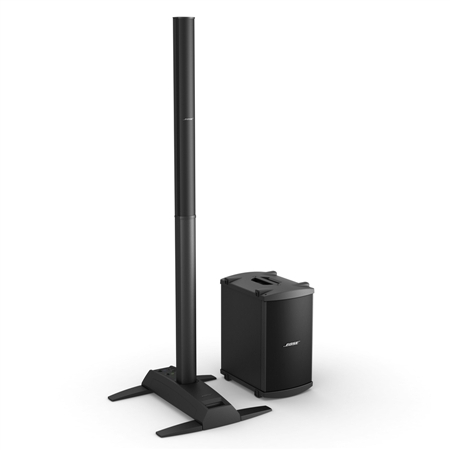 Well, think again — because the vertical configuration of the Bose L1 Model 1S system's small, closely-spaced, and splayed drivers allows it to project sound forward and 180 degrees to the sides, but very little up and down. This reduces undesirable reverberation and direct dispersion of amplified sound into live microphones, effectively minimizing feedback and other acoustic anomalies. The L1 Model 1S system’s line array speaker column is completely modular, with its two interlocking pieces housing all necessary wiring internally. Reliable, hassle-free interconnection is made via a super-tough nylon multi-pin plug and socket combination. No speaker stands are required, as the column fits securely into the heavy-duty Model 1S power stand. A padded carry bag is supplied for the line array, ensuring that your L1 Model 1S system will look as good as it sounds for years to come. More than capably handling the low end is the Bose B2 Bass Module, the perfect solution for when larger venues or your program material require a deeper low frequency response. Go ahead and mic up that bass drum or crank up your DJ set — the B2’s dual 10-inch high-excursion woofers will cleanly and accurately reproduce surprisingly powerful, deep bass down to 40Hz. Measuring just 23.4” x 13.31” x 18.39” and weighing in at a scant 45lbs, the B2 Bass Module is easy to transport and fits neatly into even the smallest vehicle and stage setup. Its rugged enclosure, built-in ergonomic handles, and included slip cover ensure that moving the B2 without incident will be a breeze. And with just one NL4 cable (included) required for hookup to your L1 system, setup is just as easy. Of course, there are times when more or less low frequency energy may be required. 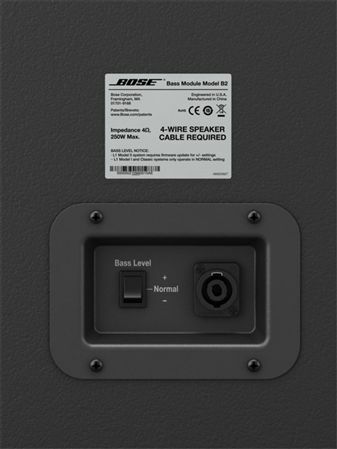 The Bose B2 includes a rear panel 3-position switch that allows you to select higher or lower bass levels depending on a particular situation or application. Use the Normal setting when mic’ing a kick drum or amplifying a bass guitar. The lower setting works well for acoustic guitar and vocals. And when you need additional low-end “punch” for DJ/music playback applications, the high setting delivers the goods with authority. 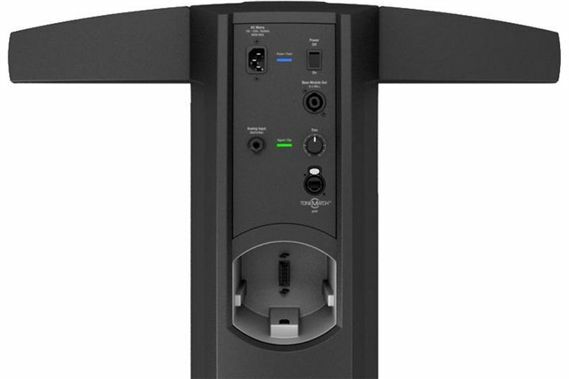 The Bose Model 1S power stand not only holds the line array column upright — its rugged chassis with four simultaneously retractable legs also contains two amplifiers and DSP to power the entire system, including the supplied B2 Bass Module. * The top panel also features an analog input on Balanced TRS 1/4” jack with Trim control and Signal/Peak LED level meter. The Model 1S power stand also comes with a heavy-duty padded carry bag complete with a pouch for storing its own power cable, NL4 cable for the B2 Bass Module, etc. *Alternately, the Model 1S can power up to two Bose B1 Bass Modules. The sound is so amazing!! It shocks everyone. I love the sound and portability of this system. I constantly get compliments on the look and sound and I would recommend this to anyone. Great product can't wait to purchase my 2nd system, the sound is superior to none really great system. This Bose is a game changer. I can't believe I waited this long to pull the trigger. The sound is pristine. Have an acoustic duo and we have never sounded better. The clubs we play in and our audiences have even remarked how great we are sounding these days. The sound is even across the entire room. Using it with the Allen & Heath Zed10FX. What a fantastic sounding board. The elimination of monitors and the fact that we hear what the audience hears is beyond fantastic. Set up and tear down is a breeze. If you're on the fence about this, don't be. Just get it. Glad I went with the B2 bass module instead of the B1. Will be using it for smaller band gigs with our XAir 18. Superb is what it is. I was using two Behringer 1000W speakers for DJ'ing and Karaoke. While getting older this equipment was getting too heavy for me to handle by myself. So, I bought the Bose system to reduce the weight. I was blown away by the output of this thing. Just one of these handles more than both my Behringers. This is well worth the money! I plan to buy a second one in January. great product lots of bass and super sound great investment. Outstanding sound from this unit in various environments! Bose is synonymous with quality, and the craftsmanship, fir & finish, engineering are awesome. Padded bags and covers for each handling piece do the job well. All of my instruments first go into a rack mounted Presonus Firepod, so the minimal imputs are good enough for me. If anyone else was intending to do a band rehearsal, you would want to buy the module with the presets and more inputs. The sound coming out of this unit is amazing. I have used it outdoors in the open for small gatherings, outside in a tent with up to 300 people, and inside my own music room as a monitor, or onstage at churches and EVERYONE comments on the quality of tone / balance of the sound that is produced by this unit! Nobody can believe it.